Above is Private Boris Apolsky of Camp Crowder, who has done more, perhaps, than any other individual during the last two weeks to make the public conscious of what the U. S. O. councils of Joplin and other communities in the Camp Crowder area have done to make camplife pleasant for soldiers and to build morale through the U. S. O.-sponsored hospitality extended by citizens in their homes. Apolsky has appeared before all the civic clubs and other groups here and elsewhere in the area, telling of the many services of the U. S. O. for men in uniform and expressing to audiences the high regard with which the organization is held by the soldier. Apolsky is in the special services section of the signal corps replacement training center, in charge of theatrical productions and other shows. 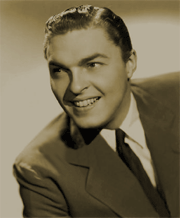 His background includes the playing of Ivan Shark on the "Captain Midnight" coast-to-coast radio program for four years , and working such radio shows as "First Nighter, " "Ma Perkins, " "Scattergood Baines, " "Lux Theater" and "Mert and Marge." 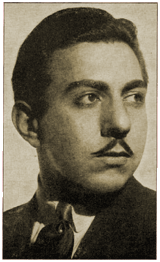 Under the stage name of Boris Aplon, he appeared with De Wolf Hopper in Gilbert and Sullivan productions, having played the title role in the "Mikado; " Sir Joseph Porter in "Pinafore," and Major General in "Pirates of Penzance." He appeared in New York with Grant Mitchell in "Tide Rising" and for three years played from coast-to-coast with the Globe Theater Shakespearean Repertory theater, during which time he gave 3,600 performances in 14 Shakespearean plays. He was Brutus in "Julius Caesar, " Petrucchio in "Taming of the Shrew," and Angelo in "Comedy of Errors," among others. 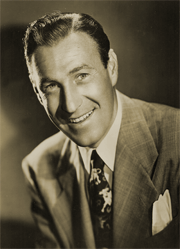 He was in Hollywood to make the picture version of "Captain Midnight" when he was inducted into the army. Apolsky's education campaign will be followed by the U. S. O. financial drive, which will open with a "kick off" dinner in the Scottish Rite temple Monday night. Three hundred volunteer workers will participate. Run Dates(s)/ Time(s): 44-12-09 to 45-09-01; ABC; NBC; CBS; Thirty-nine, 15-minute programs; Saturdays and Sundays, widely varying times. 3:45 These Are the Marines--WENR. 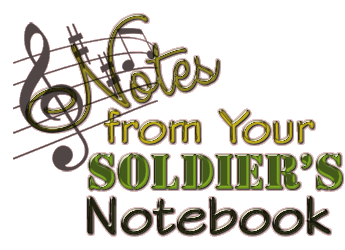 Saturday 3:45 p.m.--Soldiers Notebook (WENR): new musical and informational program, featuring singers Buddy Clark and Bob Eberle, accompanied by 344th army forces band at Ft. Sheridan, Ill.; "I dream of You," "Let Me Love You Tonight," "Somebody Loves Me." 5:30--WBBM--Notes from Soldiers' Notebook; 4:30--WJJD--Soldier's Notebook; 4:45 WENR--Soldier's Notebook. 45-07-07 Chicago Daily Tribune - 10:45--WIND--Your Soldier's Notebook. Soldier's Notebook (WIND): Okinawa veterans interviewed. Reeducating German POWs in the U.S.